Metro riders, get ready to sweat it out at two busy Red Line stations -- again. A dispute over what to do with a temporary cooling tower for the Dupont Circle and Farragut North stations is putting plans to cool those stations on ice. The issue has to do with where to place the cooling tower. Last year, a massive temporary cooling tower was placed along Connecticut Avenue near L Street NW. Business owners said the tower hurt business and ruined the quality of life along the corridor. "We really felt that we were being buried alive," said Ginger Park, the owner of the Chocolate Chocolate shop on Connecticut Avenue. The cooling tower was quite literally placed right outside her small business' door. "Not only was it impossible to really conduct business, every single customer who came in complained about the noise level," Park said. She said business dropped 12 to 15 percent because of the tower. "We counted down the days when it was going to be removed," she said. Now, as the weather warms up, the cooling tower could be returning. Metro is hoping to relocate the cooling tower to the center of Connecticut Avenue, but that may require shutting down a lane of traffic. The permitting process for where to locate the cooling tower has not been resolved. The D.C. Department of Transportation (DDOT) said it's coordinating with Metro. "DDOT has responded it's seeking more specific details on the chiller's impact on the traffic, and the community. When DDOT receives this information, we can proceed further on the permit," DDOT spokeswoman Michelle Phipps-Evans wrote in an email. 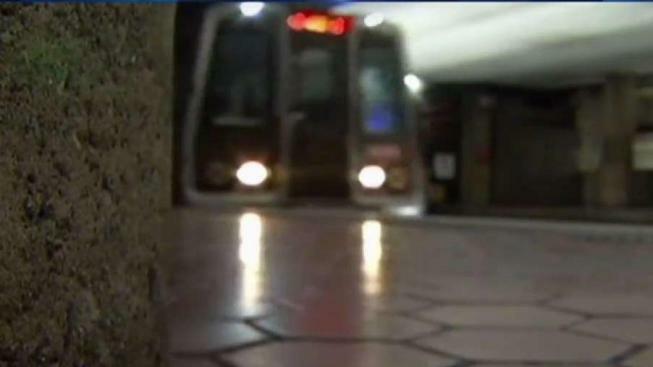 Metro said the delay means that Farragut North and Dupont Circle will not have a cooling system in place by May 15, which is when they have begun cooling the stations in the past. News4 has previously measured the temperature inside those stations on warm days when there is not a cooling system in place. Temperatures can go above 90 degrees. "I certainly understand people walking through the Metro -- they need to be cool," Park said. "But at the same time, they also told us that they were going to work on a permanent solution after October and nothing happened." The history of the cooling system for the Dupont Circle and Farragut North stations is long and complicated. The pipes that ran from a cooling center under Connecticut Avenue crumbled some time ago, and Metro has been trying to figure out a solution. The eventual fix will require ripping up a large section of Connecticut Avenue to unearth the pipes and replace them. In the meantime, the location of the temporary cooling tower became a sore spot for the Golden Triangle Business Improvement District (BID). "I think it's when you start talking about the repetition or the continued need for a temporary solution, [that's] where it gets a little difficult," said Leona Agouridis, executive director of the Golden Triangle BID. "Everybody wants a solution to this issue. I think, though, that it needs to be fair for all parties involved," Agouridis said.